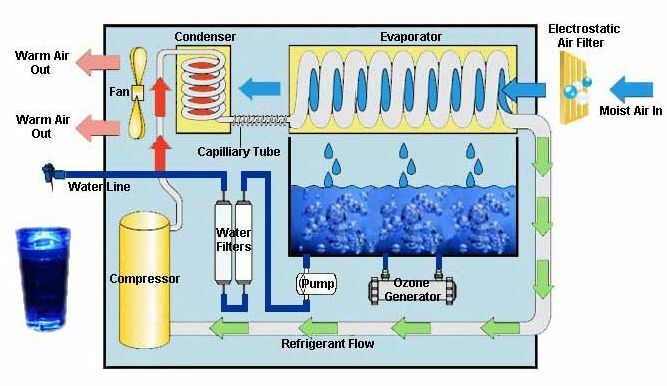 Depleting renewable water resources (like lakes, rivers, & ponds), scanty rains, and rising population will drive the atmospheric water generator industry in the coming eight years. 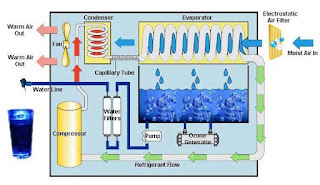 The global Atmospheric Water Generator (AWG) Market is expected to witness growth at a CAGR of over 20% in the forecast period (2016 to 2024). Rising demand for these products across large-scale industries; like oil & gas, steel, and paper should positively impact the industry. Moreover, technological improvements giving high water output also generate more sales. Declining availability of fresh water resources along with higher infrastructural expenses are said to drive the industry. Prices of machines from different manufacturers vary depending on applications, product efficiency, and quality. Most market products need ample electricity which could be impossible at some places, restraining the growth of this market. However, technological advancements in AWG products to provide on-board power supply; for example, solar panels can positively influence the industry during the next eight years. Also, several dealers in the supply chain may pose industry challenge, resulting in unwanted hold-ups through manufacturing. Hence, the incorporation of AWGs across the value chain would be the key to market sustenance from 2016 to 2024. However, high costs of industry products, along with high energy consumption, limit further penetration, especially in residential applications. Manufacturers will come up with innovative technologies and production methods to lower the overall costs of products to gain attention from residential & commercial users. The atmospheric water generator market is categorized into products, applications, and regions. Products comprise cooling condensation and wet desiccation. Cooling condensation AWGs are the most commonly utilized. These generators occupied over 95 % of the total shares in 2015. Various technological developments related to lower power consumption & costs are projected to augment segment growth till 2024. Lack of customer awareness about wet desiccation products coupled with their complex mechanism should restrict their growth. However, substitution of crystalline brine salts with liquid brine to enhance air moisture extraction is likely to boost the demand for wet desiccation AWGs in the eight years ahead. Applications include residential, industrial, and commercial. Residential led the market in the past and is said to continue likewise during 2016 to 2024. Demand for AWGs from this segment should grow at a CAGR of over 14 % over the forecast period. Commercial applications are estimated to grow at the highest rate of over 19 % in the near future. Industrial will observe substantial expansion. Regions in the worldwide atmospheric water generator market are Latin America, Asia Pacific, Europe, North America, and the Middle East & Africa. Demand in MEA is projected to grow at a CAGR of 18 % till 2024. Its awareness regarding AWG benefits can drive the regional industry. India and China may experience high gains on account of their rising urbanization and changing lifestyles. Moreover, higher prevalence of water scarcity and unusual rainfalls in India would propel the demand for ideal water production alternatives. This is forecast to positively influence the Indian market. The huge need for power supply for AWGs renders it impractical for usage across few geographical regions. Some of the eminent players in the global market encompass Fujian Yuxin Electronic Co. Ltd.; Watair Inc.; Ambient Water Corp.; and Technocom Pvt. Ltd.